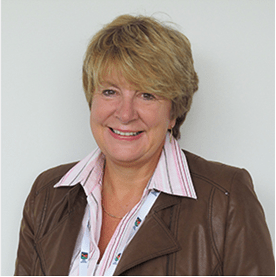 Carolyn Chew-Graham is Professor of General Practice Research and Director of Clinical Academic Training at Keele University, UK. She is a keynote speaker at this year's SAPC conference in Oxford. So, how did I come to be giving the 2nd Helen Lester Memorial Lecture? I had planned to go to the annual scientific meeting of SAPC (Society for Academic Primary Care) in Oxford, in July, to meet friends and colleagues, give an ‘elevator pitch’ and support my daughter, Anna, presenting a poster. Somehow, Christian Mallen and Joanne Reeve (who are academic general practitioners - GPs - and the Secretary and Chair of the SAPC Executive, respectively) twisted my arm and I find myself awake in the night wondering what I will say. Helen and I had worked together, from 2016-12, when Helen was Professor of Primary Care at the University of Manchester. Helen was also a GP in Birmingham….but she had so many other roles. ‘Ask other people for content’, I thought. So I did. Liz England (an academic GP from Birmingham) told me how Helen liked egg sandwiches and a glass of cold white wine (together? yuk), and how Helen was such a support and mentor to Liz as she started out on her academic career. Sue Stewart (SAPC Secretariat) recalled a pair of red shoes at SAPC 2005 in Gateshead. Memories of her ‘Stella McCartney’ dress at the joint SAPC/RCGP (Royal College of General Practitioners) conference in Glasgow in 2012 came flooding back to those of us keen on designer ‘stuff’. Of course, Helen was the driving force behind this joint conference and it’s success. Helen was a pioneer in Patient and Public Involvement and Engagement (PPIE) in research; A PPIE member of the group she set up in Manchester (called PRIMER) recalled Helen’s cheery smile, offer of a cup of tea and how she put all PPIE members at their ease, and made sure that their contributions were really valued. Martin Roland (formerly Professor of Primary Care in Manchester, now based in Cambridge) reflected on how hard Helen worked, possibly even harder as her illness progressed, and how by doing this, Helen has left her mark on the world. Everyone I have spoken to says ‘wasn’t she fantastic?’ and recalls her James McKenzie lecture ‘Being bothered by Billy’ in November 2012. Helen passionately advocated that GPs should be doing more for patients with SMI (severe mental illness), who die up to 20 years earlier due to cardiovascular and metabolic problems, often related to lifestyle factors such as smoking and obesity. Along with David Shiers (a former GP in Staffordshire), Helen has really made a difference to the care of people with SMI, impacting on policy and practice. So how can I follow that? Oh, and I forgot, Professor Debbie Sharp from Bristol, gave such an excellent inaugural Helen Lester memorial lecture at SAPC in Edinburgh last year….I can’t possibly top that.. So, what will I talk about? I can recall how I came to be a GP, and interested in the distress people experience, and often express, within the primary care consultation. I can recall Carl Whitehouse (now retired, but who was a GP and Professor in Manchester) who was my GP trainer and whose humility and humanity have made me, I hope, I good GP. I must mention Carl May (who is now a Professor of Healthcare innovation, Southampton) who helped me establish myself as a researcher with qualitative methods skills. Do I disclose the earlier conversations about how he had noticed that GPs (or was it doctors in general?) ‘cannot write’? Being given that verdict about early chapters of my thesis, over a curry in Rusholme, Manchester, was hard to digest. I can talk about my early qualitative studies with patients and GPs exploring the conceptualisation of depression and depression management in primary care. But that won’t be enough for the trialists in the audience – I need to mention some numbers, or at least how the nested qualitative studies that I have led, have helped to explain the numbers. That might do. But I would also like to mention the importance of ‘bridging between worlds’ – How my work impacts on the evidence-base, contributes to NICE (National Institute for Health and Care Excellence) guidelines, local protocols and services. I will describe my efforts in encouraging medical students get interested in research, publish and go on to academic posts; my work with Academic Clinical Fellows in General Practice, helping them step onto the academic career ladder; my work as an MPhil and PhD supervisor – of both clinicians and non-clinicians. This is where I really feel I have made a difference. Lastly, I should mention the importance of maintaining a good work/home/life balance – I’m not sure if I’m best placed to do this. I think my kids would say that I’m ‘rubbish’, although we do like our holidays in the sun, and sometimes I even leave my computer at home. My husband would definitely say that I haven’t got this right, and that without him doing the shopping and gardening, we’d live on bread and cheese, in a wilderness. Thank you, Steve. Posted in Primary Care, Reflections. Tags: academic primary care, Carolyn Chew-Graham, Helen Lester, patient involvement in research, PPIE, primary care on July 6, 2015 by CMAJ.